Arpita Sinha (Singha) Photo of Sananda Tilottama 2010 Beauty Contest Contestant and Winner. Here are some photos of Arpita Sinha Sananda Tilottama 2010 Award Winner, who was surrounded by other Runners-up of 2010 Sananda Tilottama Sonika Chauhan and Priti Kongkana during the Finale. Nihar Natural Sananda Srimati Contest 2011 Winner Runners-up Pritha Das Mahapatra Ghosh Profile Family Life Background Photo Chaitali Dutta Chowdhury Profile Family Life Background Photo Tamalika Dey Profile Family Life Background Photo Judges Anchors Hosts Nihar Natural Sananda Srimati Contest 2011 Winner Runners-up 2012 Sananda Srimati Registration Application. Nihar Naturals Sananda Srimati 2011 Beauty Contest is the one and only beauty contest for married women (Srimati) in Eastern India. Nihar Natural and Sananda Bangla Magazine jointly organized the 2011 Nihar Natural Sananda Srimati Beauty Contest, which was just finished at ITC Sonar Bangla in Kolkata. The contestants / participants of Nihar Naturals Sananda Srimati 2011 Beauty Contest were gone through under restricted trainings and grooming for one month and then only 10-contestants of Nihar Naturals Sananda Srimati 2011 Beauty Contest were selected for the Grand Finale of Nihar Naturals Sananda Srimati 2011 Beauty Contest at ITC Sonar Bangla Kolkata. All the selected participants of Nihar Naturals Sananda Srimati 2011 Beauty Contest had their tough session with different personalities like Rony Shambik Ghosh (Choreographer), Mitul Ghosh Sengupta (Choreographer), Soumitra Mandal (Western dress designer), Swapan-Seema (Fusion Dress designer) and Sucheta Mehra (Saree Designer) etc. 1. Winner of Nihar Naturals Sananda Srimati 2011 Beauty Contest: Pritha Das Mahapatra Ghosh. 2. 1st and 2nd Runners-up of Nihar Naturals Sananda Srimati 2011 Beauty Contest: Chaitali Dutta Chowdhury and Tamalika Dey. Those Srimatis haven’t tried their luck or unable to qualify in Nihar Naturals Sananda Srimati 2011 Beauty Contest can register in Nihar Naturals Sananda Srimati 2012 Beauty Contest, which will be organized after few months of time. Are you looking for the pictures of Sonika Chauhan, aspiring Model who was the Runner-up of 2010 Sananda Tilottam Beauty Contest? Here is the photo of Model Sonika Chauhan. 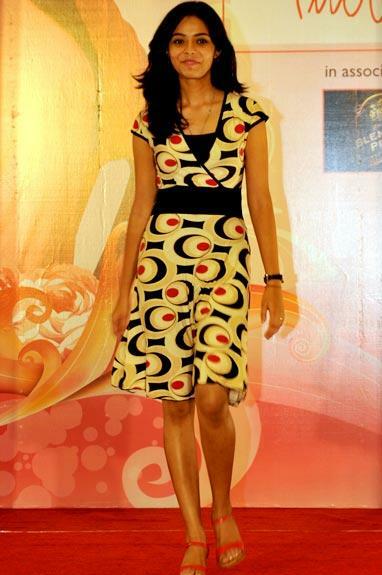 Bengali Girl Sonika Chauhan of Kolkata missed the Sananda Tilottama 2010 Title to Arpita Singha. Sonika Chauhan became one of the Runners-up of Sananda Tilottama Beauty Contest 2010. You must be looking for the Contestant names of Sananda Tilottama Beauty Contest 2010 and would like to see each & individual photographs. Here, you will get to see the photos of all Top Models participated in 2010 Sananda Tilottama Contest and by clicking the Model Names below you could get to see their individual photos. • Winner of 2010 Sananda Tilottama Beauty Contest is Bengali Model Arpita Sinha. • Names of other Top-10 Model Contestants of 2010 Sananda Tilottama Beauty Contest as follows - Model Rajkanya Barua, Model Rusha Ghosh, Model Sonika Chauhan, Model Riya Basu Thakur, Model Indrakshi Bhattacharjee, Model Poonam Dhal, Model Mayuri Chatterjee. Do you want to know who is the winner of 2010 Sananda Tilottama Beauty Contest? Are you looking for the Bengali Model Arpita Sinha's Sananda Tilottama Winning moment photo? At first let's check out a photo of Arpita Sinha during the ramp show of 2010 Sananda Tilottama Beauty Contest. Now, let's check out the Bengali Model Arpita Sinha's photo after winning the 2010 Sananda Tilottama Beauty Contest. Here is the Photo of Arpita Sinha who is the 2010 Sananda Tilottama Winner. 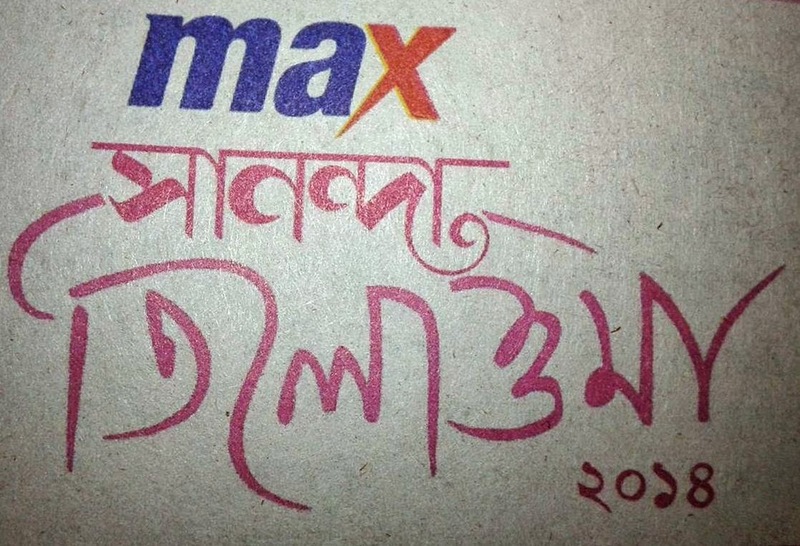 Photo of Sananda Tilottama 2010 Grand Finale. 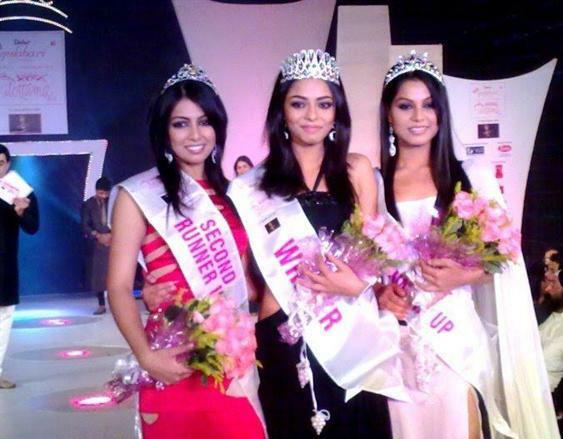 Winner of Sananda Tilottama 2010 Beauty Contest Arpita Sinha (middle) along with Sananda Tilottama 2010 Second Runner Up Sonika Chauhan and Sananda Tilottama 2010 Runner Up Priti Kongkana.